It’s been an interesting week for tech news, with Xiaomi finally unveiling its flagship smartphone for the year with some interesting variants in tow. The Nokia brand continued its nostalgic return to the market with current licensee HMD Global unveiling refreshes to three models in its stable. The week also had its fair share of telecom announcements, with Jio unveiling its Holiday Hungama Offer that sweetens prepaid recharges with cashbacks, and BSNL boasting of a corporate offer for Baba Ramdev’s Patanjali group of enterprises. The Vivo X21 – sporting a novel in-display fingerprint sensor – also arrived in India this week, marking the biggest smartphone launch in the country for the period. Let’s begin with the Xiaomi flagships. The Mi 8 was launched by Xiaomi on Thursday at its annual launch event in Shenzhen, China. The smartphone as expected sports an iPhone X-like notch in its bezel-less display, sports a dual rear camera setup, and runs on the Snapdragon 845 SoC. There is an in-display fingerprint sensor available, however, only on the more expensive Mi 8 Explorer Editionmodel, which also offers up to 8GB of RAM, 3D facial scanning, and a transparent back panel. The Xiaomi Mi 8 will be available in three variants, with the 6GB RAM/ 64GB inbuilt storage variant priced at CNY 2,699 (roughly Rs. 28,600), the 6GB RAM/ 128GB storage variant priced at CNY 2,999 (about Rs. 31,600), and 6GB RAM/ 256GB inbuilt storage model priced at CNY 3,299 (roughly Rs. 34,800). The Mi 8 Explorer Edition (8GB of RAM and 128GB inbuilt storage) is priced at CNY 3,699 (roughly Rs. 39,000). The smartphone has been reviewed by DxOMark, and ended up getting an overall score of 99 – at par with the Samsung Galaxy S9+ and ahead of the iPhone X. At its annual launch event, Xiaomi also launched the Mi 8 SE, which is a cheaper variant of the smartphone offering several of the same features but running on the recently unveiled Snapdragon 710 SoC – appearing to be the first smartphone to do so. It bears a smaller bezel-less display than the Mi 8, and also foregoes the infrared and 3D face unlock technology of the Mi 8 and Mi 8 Explorer, but retains the display notch. It has a lower resolution dual camera setup, the same 20-megapixel front camera, and gains a front flash module. The 4GB RAM/64GB storage variant is priced at CNY 1,799 (roughly Rs. 18,900) while the 6GB RAM/64GB storage variant is priced at CNY 1,999 (roughly Rs. 21,100). Xiaomi also unveiled MIUI 10 on Thursday, saying it was powered by AI. It comes with features such as AI Portraits – brings Bokeh depth-of-field functionality to any MIUI 10 phone, with or without a dual camera setup; a new Recents widget – it gets gesture support and a new, larger layout; AI Preload – a feature that is said to predict user patterns to preload apps, as well as smart home controls built directly into the new operating system. The company has detailed the list of devices eligible for the MIUI 10 beta update. The launch event also saw the launch of the Mi Band 3 with a capacitive OLED display and also optional NFC connectivity. It has a heart-rate (PPG) sensor, and a triaxial acceleration sensor – it is priced at CNY 169 (approximately Rs. 1,800). At the event, Xiaomi also launched a new Mi TV 4 model with a 75-inch 4K HDR display and an AI assistant, priced at CNY 8,999 (roughly Rs. 95,000). The last product to be shown off at the event was the Mi VR Standalone headset, priced at CNY 1,499 (roughly Rs 15,800). Apart from its annual product launch event, there were other pieces of Xiaomi news this week. Xiaomi revealed that the India variant of the Redmi S2 that’s set to be unveiled for India at its June 7 launch event in New Delhi, will be an Amazon India exclusive. To recall, the smartphone is expected to be launched as the Redmi Y2 in India – the newest model in the selfie-focused series. It also teased the launch of the MIUI 10 Global ROM at the same launch event. This week in China, Xiaomi also launched the Mi Wireless Mouse Youth Edition, the Mijia Projector, and the Mi Bluetooth Headset. Other pieces of Xiaomi news included leaks such as the Redmi 6 Plus and Redmi 6A TENAA listings that tipped specifications and designs – some benchmark results for the new Redmi 6 series also got leaked. The Redmi 6 Plus is said to come in 3 variants, with 2GB RAM + 16GB storage, 3GB RAM + 32GB storage, and 4GB RAM + 64GB storage options. Other key specifications of the Redmi 6 Plus – which may also be called Redmi 6 Pro – include a 5.84-inch display with notch, 2GHz octa-core processor, dual rear cameras, and 4000mAh battery. The anticipated Mi Note 5 smartphone’s price and specifications were also leaked, revealing a smartphone with a 5.99-inch display, Snapdragon 835 SoC, 6GB RAM, 64GB storage, and support for 43 LTE bands. As for the Redmi 6A, the smartphone is said to come in 3 variants, two with dual rear cameras and one with a single camera sensor on the back. Key features are said to be 5.45-inch display, 5-megapixel selfie camera, Snapdragon 625 SoC, 3000mAh battery, and 2GB, 3GB, and 4GB RAM options. We next come to the latest Nokia smartphone launches – the Nokia 2 (2018) aka Nokia 2.1; Nokia 3 (2018) aka Nokia 3.1, and the Nokia 5 (2018) aka Nokia 5.1. Refreshes of last year’s offerings, the Nokia 2.1 isa part of the Android Go initiative, while the Nokia 3.1 and Nokia 5.1 are part of the Android Oneprogramme – just like other 2018 smartphone launches by the company. The Nokia 2.1 has been given a global average price of $115 (roughly Rs. 7,800) and will be available in July 2018; the Nokia 3.1 has received a global average starting price of EUR 139 (roughly Rs. 10,900) for two variants (2GB RAM/ 16GB storage and 3GB RAM/ 32GB storage) and will be available from June 2018, while the Nokia 5.1 global average of EUR 189 (roughly Rs. 14,800) and will arrive in the same RAM/ storage variants as will the Nokia 3.1. The Nokia 2.1 runs Android 8.1 Oreo (Go edition) out-of-the-box, sports a 5.5-inch HD (720×1280 pixels) display with a 16:9 aspect ratio, is powered a Qualcomm Snapdragon 425 SoC with 1GB of RAM, features an 8-megapixel rear camera and a 5-megapixel front camera, it bears 8GB of storage. A 4000mAh battery powers the budget handset, said to deliver 2-day battery life. The Nokia 3.1 runs Android 8.0 Oreo, sports a 5.2-inch HD+ (720×1440 pixels) display with an 18:9 aspect ratio; a MediaTek MT6750 SoC with 2GB or 3GB of RAM; a 13-megapixel rear camera and 8-megapixel front camera; 16GB or 32GB of inbuilt storage (expandable via microSD card), and a 2990mAh battery. The Nokia 5.1 runs Android 8.0 Oreo and it sports a 5.5-inch full-HD+ (1080×2160 pixels) IPS LCD display with an 18:9 aspect ratio. It is powered by a MediaTek MT6755S SoC, paired with 2GB/ 3GB of RAM. It has a 16-megapixel rear camera, and an 8-megapixel front camera. There are two inbuilt storage variants – 16GB and 32GB – both of which are expandable via microSD card (up to 128GB). The Nokia 2.1 will be available in Blue/ Copper, Blue/ Silver, and Grey/ Silver variants; the Nokia 3.1 will be available in Blue/ Copper, Black/ Chrome, and White/ Iron, while the Nokia 5.1 will be available in Copper, Tempered Blue, and Black variants. Now, coming to the telecom news of the week. Reliance Jio’s compelling plans continue unabated with a new offer – the Holiday Hungama Offer, which gives Jio prepaid users cashbacks on the Rs. 399 recharge. Users will need to buy the recharge through the MyJio app or Jio website using PhonePe as the payment method to avail the cashbacks. Separately, Jio and Samsung India partnered to unveil offers on the purchase of the Samsung Galaxy J2 (2018) and Galaxy J7 Duo, giving Jio subscribers cashbacks and other benefits. Jio is offering Samsung Galaxy J2 (2018) buyers instant cashback vouchers up to Rs. 2,750 (55 cashback vouchers worth Rs. 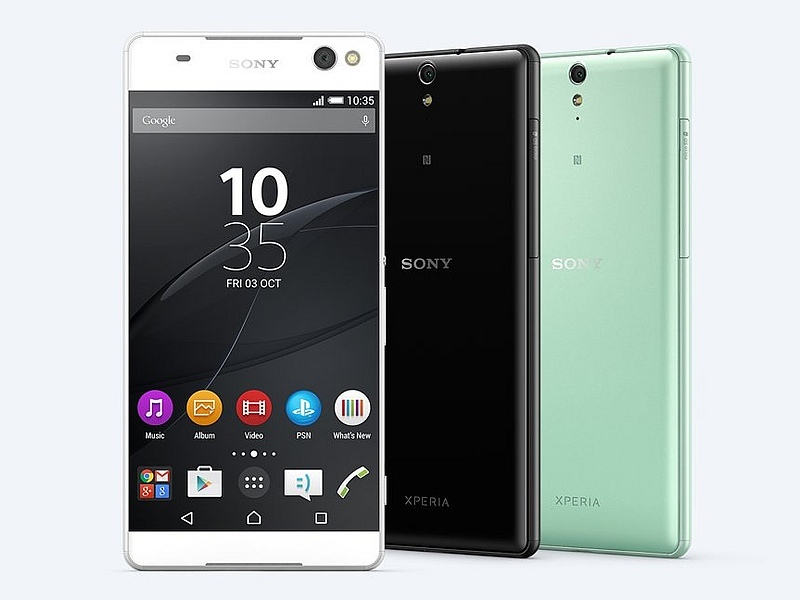 50 each) along with 100GB additional 4G data (10 vouchers for 10GB additional data each) on the purchase of the Rs. 198 and Rs. 299 prepaid plans. Samsung Galaxy J7 Duo buyers get the same instant cashback vouchers but get double data for a maximum of four recharges instead, on the purchase of prepaid plans worth Rs. 198 or above. Other news that made headlines in the telecom sphere included corporate plans announced by state-owned telecom operator BSNL for employees of Baba Ramdev’s Patanjali group of companies. There are three plans, Rs. 144, Rs. 792, and Rs. 1,584, with 2GB of data and 100 SMS messages per day apart from unlimited voice calls and a day on all packs. The Rs. 144 plan has a validity of 30 days, while the Rs. 792 plan has a validity of 180 days, and the Rs. 1,584 has a validity of 360 days. A new report claimed that the Jio Fibre commercial launch will see the telco offer 100Mbps broadband services with plans starting less than Rs. 1,000. This sub-Rs. 1,000 plan is said to include unlimited voice and video calls via a VoIP phone, as well as access to the Jio TV app. Meanwhile, chief rival Airtel was reported to be planning to offer integrated billing for its services to customers. The incentive for customers would be a 5-10 percent discount on the total bill. The telco is said to aim to bundle mobile, landline, broadband, and DTH bills together. Airtel this week also unveiled a Rs. 499 recharge pack that provides 2GB data per day, unlimited calls and national roaming, as well as 100 SMS messages a day for 70 days. The telco separately also unveiled a new Rs. 299 pack that offered truly unlimited voice calls with no daily or weekly calling FUP limit applied. Separately, Idea announced it had expanded its 4G VoLTE offerings to 15 circles, adding that early adopters will get 30GB of free data from the company. The first 10GB will be given after a subscriber makes their first VoLTE call, and the other 20GB will be provided in batches of 10GB each after feedback about services is given at four weeks and eight weeks respectively. Vodafone also made headlines this week when it unveiled its new Rs. 9 daily pack that offered 100MB of data a day, apart from unlimited voice calls and 100 SMS messages – the offer was specifically introduced for the UP (East) circle. Finally, BSNL makes another appearance in this week’s recap of the top news stories, with the announcement that its FTTH/ broadband plans will now come bundled with unlimited voice calling – plans priced between Rs. 249 and Rs. 645 will get unlimited calls only on the BSNL network, while higher denomination plans will get unlimited calls on any network. As we mentioned right at the beginning, perhaps the most important smartphone launch in India this week was Vivo X21. What makes the smartphone special is its in-display fingerprint sensor. Apart from that, it features a bezel-less display with an iPhone X-like notch, as well as a dual camera setup. The Vivo X21 has been priced at Rs. 35,990 – competing with the OnePlus 6 and the Honor 10 – and is exclusively available via Flipkart. To recall, the X21’s in-display fingerprint sensor variant debuted as the X21 UD in China, though in India the company has retained the X21 name as it is only bringing the top-end model to the country. Meanwhile, the OnePlus 6 Marvel Avengers Limited Edition variant with custom design and 256GB internal storage went on sale in India for the first time this week. The Honor 7A and Honor 7C, which were launched in India last week, went on sale in the country for the first time this week. The Honor 7A went on sale on Tuesday via Flipkart and the HiHonor online store, while the Honor 7C went on sale on Thursday via Amazon India. The Honor 7A is the cheaper of the two budget offerings, priced at Rs. 8,999 for its 3GB RAM/ 32GB inbuilt storage variant. The Honor 7C on the other hand is priced at Rs. 9,999 for its 3GB RAM/ 32GB inbuilt storage variant, and Rs. 11,999 for its 4GB RAM/ 64GB inbuilt storage variant. Asus ZenFone Max Pro M1 Grey colour variant also went on sale in India this week. A leaked render of an upcoming smartphone called Motorola One Power made its way to the Internetthis week. This model has an iPhone X-like notch, will be part of the Android One programme, sport a dual camera setup and fingerprint sensor on the back, and have a USB Type-C port on the bottom. Moto Z3 Play is another rumoured smartphone that was in the grapevine this week after its specifications surfaced thanks to a Geekbench listing. And just two days later, Motorola Brazil sent out invites for a launch event it is hosting on June 6, where the Moto Z3 Play is expected to go official. The phone will reportedly have a 6-inch display, Snapdragon 660 SoC, 4GB RAM, Android 8.1 Oreo, and 8-megapixel front camera. In other important news this week, Apple released macOS 10.13.5 High Sierra, bringing the Messages in iCloud feature to its desktop operating system, apart from a bunch of security and performance fixes. The Samsung Galaxy Note 9 launch was also said to be set for August 90, Bloomberg reported citing people familiar with the matter. Facebook went ahead and killed off its Trending section, and started testing a Breaking News label. Apple on Saturday was also said to finally approve an update to Telegram that amongst other things made the messaging app compliant with the EU GDPR laws that were enforced last week. To recall, Telegram CEO Pavel Durov had earlier this week said that Apple had blocked updates to Telegram’s iOS app since April, thanks to Russia’s request to Apple to remove Telegram from the App Store. Nokia also completed the sale of its digital health arm Withings back to its co-founder, Eric Carreel. ARM Holdingsalso unveiled its latest processor designs, launching the Cortex-A76 CPU, Mali-G76 GPU, and Mali-V76 VPU. Another major piece of news was that the BHIM app, the Unified Payments Interface (UPI) app developed by the National Payments Council of India (NPCI), gained support for utility bill payments on both its Android and iOS app versions. In the meanwhile, crowdsourcing site Quora launched its Hindi version this week, whilst also promising that support for other Indian languages would arrive soon. Google also launched a new hyper local app in India, called Neighbourly, helping people get information about the area they are in from the locals themselves. Speaking about Google launches, the Mountain View company on Thursday launched its second app in a week – following the ARCore plaform on Monday – in China, called Files Go, via Xiaomi’s app store and other partners. The Amazon Now grocery delivery service has been rebranded in India to Prime Now, giving special features like 2-hour deliveries to its Prime customers in the country. Ubisoft also confirmed that the next instalment in its incredibly popular Assassin’s Creed franchise would be called Odyssey, tipping that it would be set in Ancient Greece. More will be revealed at EA 2018, which kicks off next week. As for next week, there are some important launches set. First up, is the WWDC 2018 keynote address on Monday night – 10:30pm IST to be precise – which will see announcements surrounding iOS, macOS, tvOS, and watchOS. While the platform updates are commonplace, the company is also expected to unveil a smarter version of its voice-based virtual assistant Siri. Previously, hardware launches were rumoured at the event, in line with last year’s WWDC, however the latest reports indicate that Apple will not have anything to show off on this front this time around. 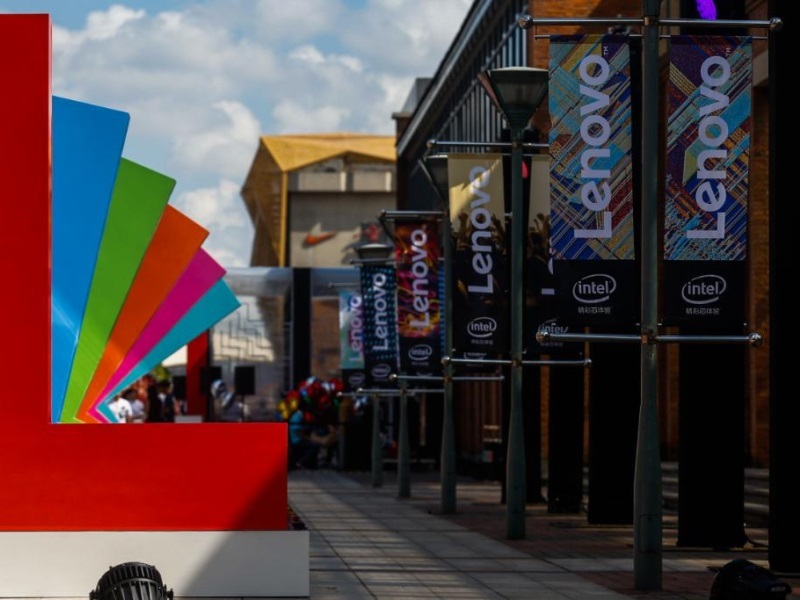 Computex 2018 also kicks off on Monday, and we can expect to see new launches from the usual suspects such as Asus and MSI during the tradeshow. Monday is also when the Moto G6 and Moto G6Play will be launched in India, at an event in New Delhi. They will be exclusive to Amazon in India. The Lenovo Z5 is due to launch on June 5, and the smartphone is expected to feature a fully bezel-less display with over a 95 percent screen-to-body ratio. On Wednesday, the Moto Z3 Play is expected to launch at an event in Brazil. On Thursday, Xiaomi is all set to unveil the India variant of the Redmi S2 in India, expected to be called the Redmi Y2 – a new model in the company’s selfie-focused Redmi Y-Series in India.